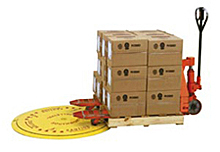 Low profile design makes this turntable easy to load and unload using a hand pallet truck. Load rotates so worker is always at the nearside without having to walk around load. 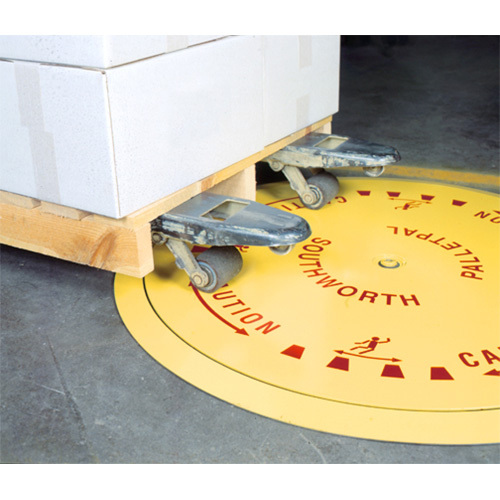 Saves on worker fatigue, potential for injury and is more efficient way to palletize/depalletize.